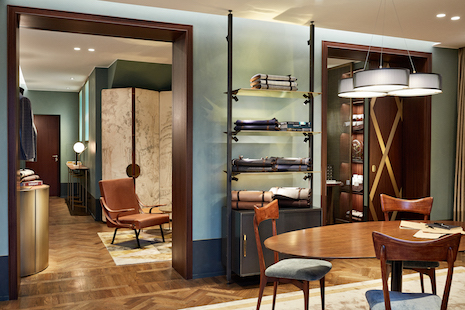 Italian menswear label Ermenegildo Zegna is strengthening its bond with its discerning male clientele through the launch of the Bespoke Atelier. Zegna has offered made-to-measure services based on model forms since the 1970s, but never before has the brand enabled clients to design true bespoke pieces. Housed on the top floor of its Milanese flagship, Zegna’s Bespoke Atelier will work with consumers to create one-off menswear for the ultimate expression of luxury service. "Experience is at the top of the luxury hierarchy and in some ways, bespoke is the ultimate interpretation of that in fashion," said Jasmine Bina, president of Concept Bureau, Santa Monica, CA. "It's an experience of choice, taste, expertise, connection and relationship, but also the experience of identity," she said. "That transcends all generations, and while the practical expression of that experience may change, the underlying sense of self will remain." Ms. Bina is not affiliated with Zegna, but agreed to comment as an industry expert. Zegna was reached for comment. 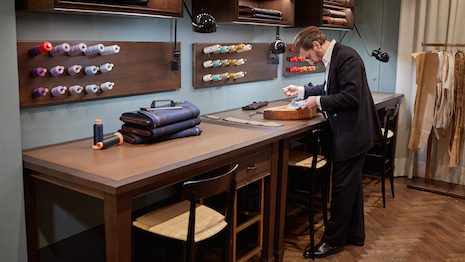 The Bespoke Atelier is a dedicated space on the top floor of Zegna’s flagship on via Montenapoleone. With a separate entrance on via Bigli, the Bespoke Atelier operates separately from the main boutique on the floors below. Zegna has furnished the Bespoke Atelier with modern and vintage pieces that recall the elegance of the 1950s and reflect the brand’s heritage. The 107-square meter space includes a waiting area and the main meeting room where tailor and client will meet over a large wood table designed by Ignazio Gardella. The room is separated from the tailor’s desk by a curtain, and a three-sided mirror is found opposite. Zegna’s Bespoke Atelier is completed by a changing room, tailor’s room and restroom. Each space is furnished with pieces vintage pieces such as antique sewing machines to evoke a sense of service and quality. Those who book an appointment at Zegna’s Bespoke Atelier can commission an entire custom-made wardrobe if they so choose. While made-to-measure suits and dress shirts can be restrictive, Bespoke Atelier will work with clients to design one-off sportswear, leather goods, knitwear and shoes. During the first Bespoke Atelier appointment, clients will meet with Zegna’s master tailor Angelo who will listen to the consumer’s ideas and desires. The master tailor will then translated these wishes into wearable pieces. Zegna offers 900 fabrics for suits, jackets and overcoats and more than 230 for shirts. The brand is constantly developing new fabrics at the Zegna Lanificio in Trivero, Italy, a specification that sets it apart from other bespoke tailors. The first appointment also includes measurements and the creation of an individualized canvas. Clients are fitted during the second appointment and during the third visit the jacket is brought out for a fitting without collar or sleeves. Three months later the client visits Bespoke Atelier for the final time to receive the completed pieces and express any last minute alterations. 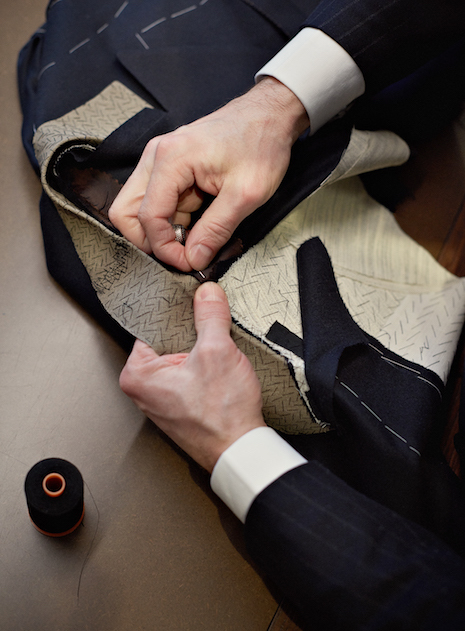 Each of Zegna’s bespoke garments are made in-house by hand. A suit, for example, requires 200 steps of custom tailoring and 150 pieces are assembled over a minimum of 75 hours. "Lightness, attention to detail, elasticity and flexibility define these works of art instilled with craft, humanity and soul," Zegna said in a brand statement. "The bespoke service is subtle and private. "The intrinsic luxury becomes apparent only in the act of wearing the garment. This is a bold statement." As of November 2016, Zegna also offers clients the option to customize their footwear. Zegna marked the reopening of its London flagship store feet first. After about 20 months of renovations, the brand’s store on New Bond Street revealed its updated, expanded look courtesy of Peter Marino. To commemorate this milestone, Zegna launched its first-ever bespoke footwear collection, which boasts a hybrid British and Italian appeal. Available exclusively at the London boutique, the capsule collection includes nine styles based on the friends of newly installed creative director Alessandro Sartori. Mr. Sartori joined Zegna in June from Berluti, the LVMH-owned menswear label well-known for its bespoke footwear. Before Berluti, he spent eight years at Zegna working on its diffusion line (see story). Similar to the Milan-based Bespoke Atelier, creating a destination experience for consumers is worthwhile for a brand looking to differentiate itself. “There will always be a subset of luxury consumers who value destination experiences," Concept Bureau's Ms. Bina said. "If you understand your consumer and know that the ritual of traveling to a location for a bespoke experience is what drives their definition of luxury, then of course it makes sense," she said. "It's the brand's job to add value and meaning to that journey in order to create the most value."